A wide selection of markets to bet on is always the perfect way to spice up the action and get the most fun out of the experience. In this article we’re taking a look at some of the top bookmakers for entertaining markets on League of Legends. 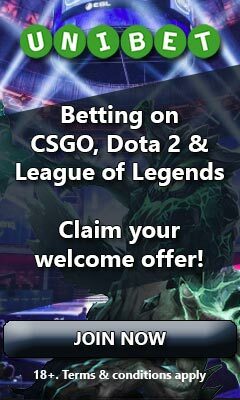 If you’re looking to get the most fun out of your experience betting on League of Legends, having a wide selection of markets to choose from is the way to go! In the below list you’ll find all of the different markets that we have noticed being available so far listed to the far left. In the top column you’ll then find some of the best bookmakers with the widest selection of these markets. You’ll be able to easily see which they provide as this is marked with an X. Even though most of the markets are usually offered, please do note that they can vary from one match to another. *In difference to most markets that are available for a wide selection of matches, special markets are only offered for certain tournaments. These may for instance include which of the two sides (red or blue) that will have the most wins, towers destroyed and gold earned in the tournament or in a specific number of matches played. It may also include several over/under options such as how many minutes the shortest and longest map in the tournament will consist of or the total amount of champions killed in it. Please note that we’re updating this guide on a regular basis, but that there might be rare occasions when the information provided isn’t fully up to date. How big is eSports betting?